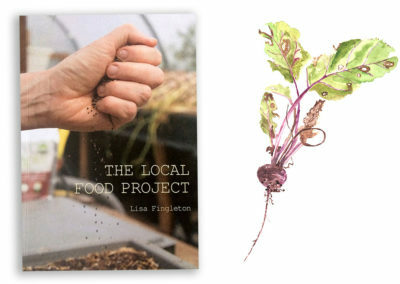 The Local Food Project explores the power of growing and eating local food. 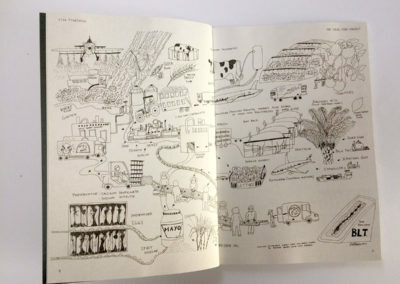 Incorporating drawings, photography and text, the book is the culmination of three years of work. 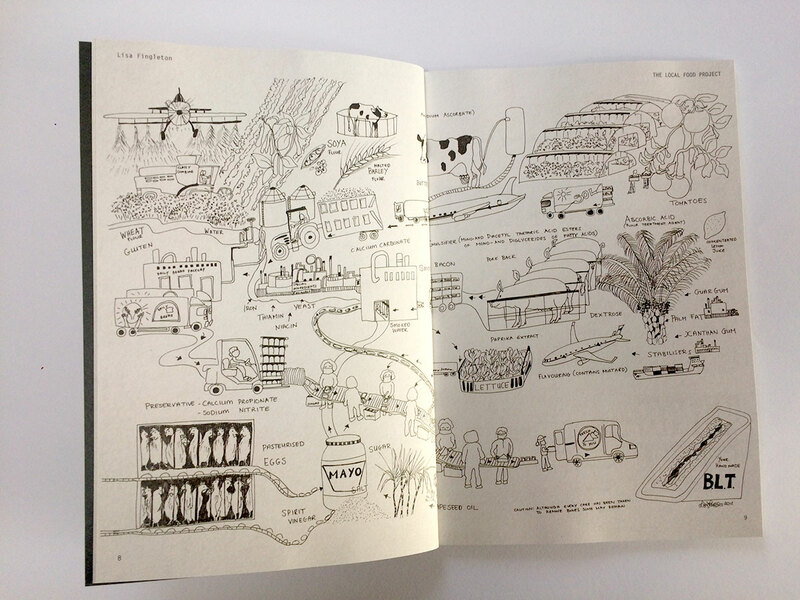 The book is creatively presented in journal style and is filled with ideas and actions for people who think global and want to act local. 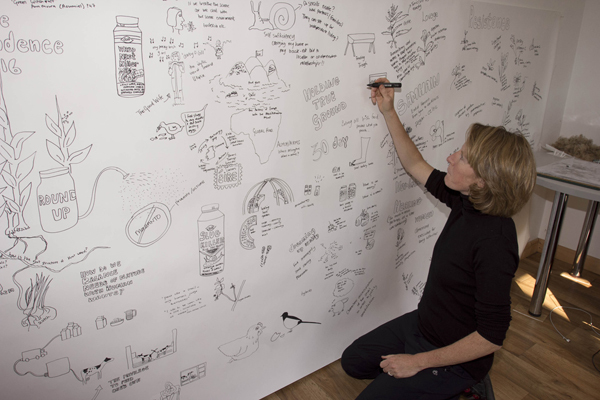 According to the artist, ‘One day I bought a sandwich in a petrol station and I couldn’t believe that there were over 40 listed ingredients from all over the world including such things as Diglycerides of Fatty Acids, xanthan gum, emulsifier and stabilisers. I learned a lot from that sandwich. It made me question if there is really any such a thing as ‘cheap food’? Someone, somewhere is paying the price in terms of poor conditions for workers, crowded conditions for battery hens or health implications for the consumers of processed foods. I am concerned about the fact that we are importing so much of our food and losing the capacity to be self sufficient, despite what we know about climate change and carbon footprint. According to Eurostats 2016 “Only 1% of Irish farms grow vegetables, the lowest in the EU” (Agriland headline). 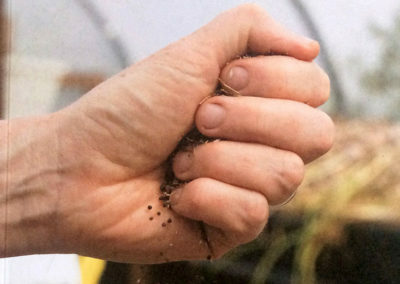 Why are we not growing vegetables in Ireland? Rather than getting bogged down in doing nothing, I started the 30 Day Local Food Challenge, encouraging people to eat local food for the month September each year. With Transition Kerry and other groups around the country, we ate only ingredients grown on the island of Ireland so that meant doing without imported goods such as sugar, bananas, chocolate and other luxuries to which we have become accustomed! 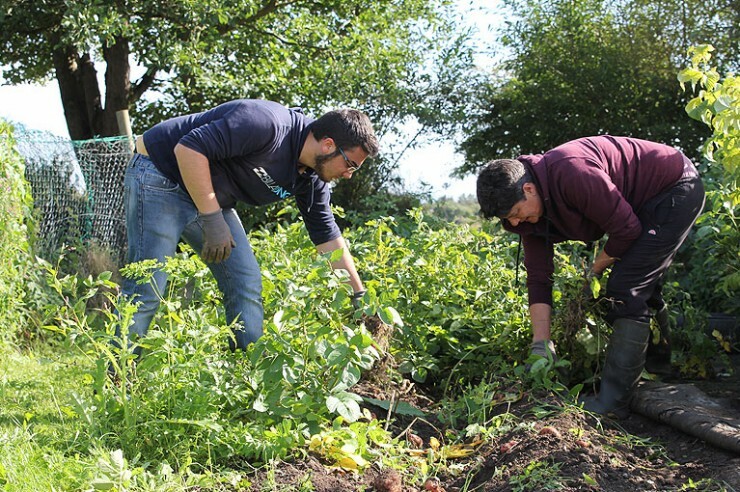 Eating local food is great way to eat tasty, fresh food; support local food producers and become more sustainable and resilient. 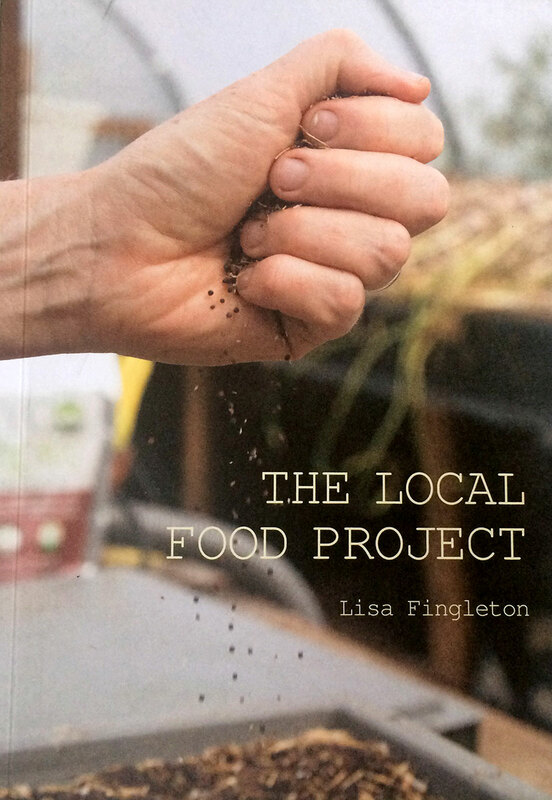 The Local Food Project is about sharing the learning and encouraging people to take action. Foodture Interview: Could you eat local for 30 days or more? Irish Examiner: How cool would it be to serve Christmas dinner and say, ‘everything came from within 20 miles of here?